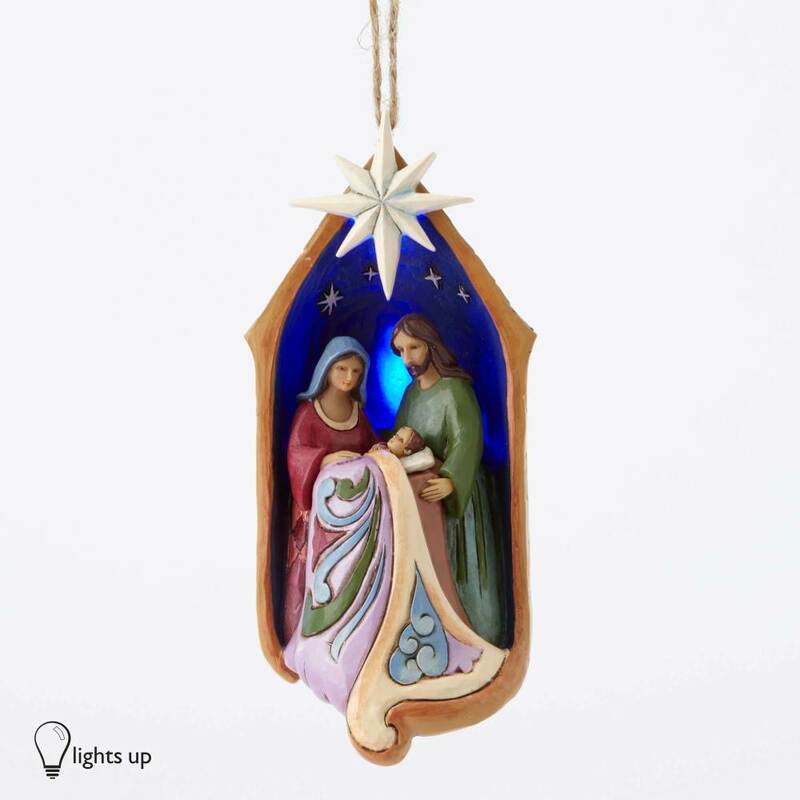 Holy Family in Lighted Stable Ornament. Part of the Heartwood Creek collection designed by Jim Shore. Lights up. Made from stone resin. Includes original manufacturers box and packaging. Comes with 3 LR44 batteries. Made by Enesco. at the heart of Christmas in the folk art style that is unmistakably Jim Shore. 2.2" x 2" x 4.9"